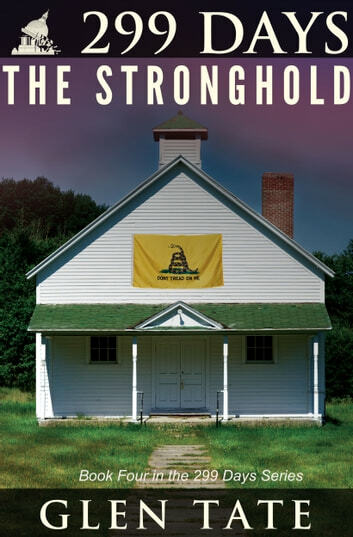 299 Days: The Stronghold, the fourth book in the 299 Days series, Grant Matson begins teaming up with others who will help the community of Pierce Point become a Patriot stronghold, ready to stand against government Loyalists, the Undecideds and the Oblivious. Using the United States Constitution as a guide, they develop a sense of order and begin planning for a future that shows no sign of improving. Outside of Pierce Point, the country continues its downward spiral. The Feds are rationing food and gas and playing favorites while some states are choosing to “opt out” of the Federal Government. Scrappy street gangs have made way for sophisticated white collar gangs who, along with government officials, participate in bartering and bribery of every kind. Vigilantes are loose everywhere, and those working for what is left of the government don’t know if they’re with the good guys or bad guys. The Pierce Point Patriots prepare to defend their land, their families, and their beliefs, even if that means going up against those in their community who are loyal to the government and all things that lead to the Collapse of America.